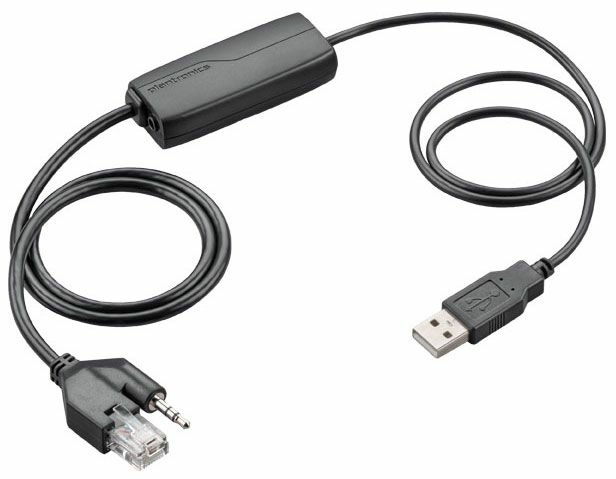 The Plantronics APU-75 is an electronic hook switch cord that allows Plantronics CS500 and CS500 XD series wireless headsets to be connected to your PC. This provides you with wireless headset connectivity when using a wide array of softphones. The APU-75 also provides plug and play compatibility with Microsoft Skype for Business.